This Cuckoo fledgling is the perfect size for sampling our unique gin. Great for parties, picnics and stocking fillers! 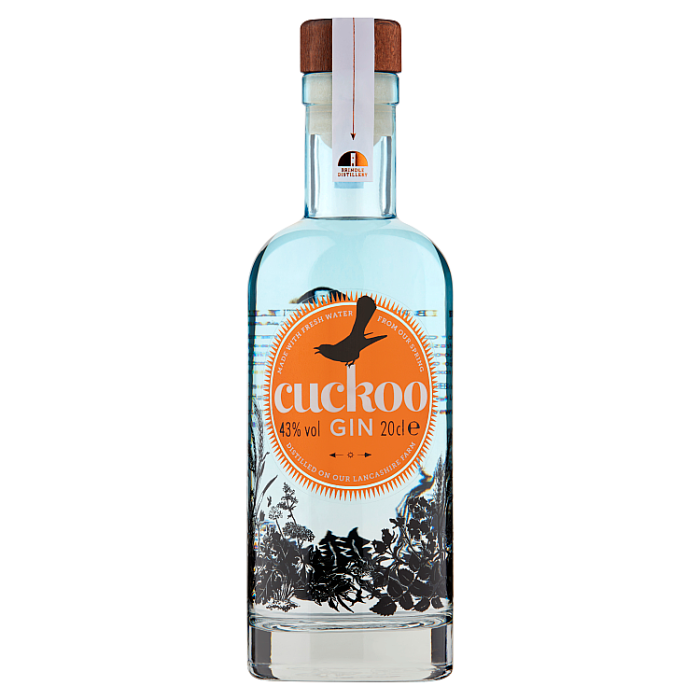 Cuckoo Gin is made with ingredients that are locally sourced and grown on our farm. In the distilling process we use fresh spring water from the artesian aquifer in the field next to our distillery. Cuckoo is a complex gin with a smooth mouth feel to aid those who like to sip. After a slightly sweet, piney juniper start, the flavour develops into citrus from orange, grapefruit and lemon with a lingering taste of cinnamon spice and liquorice. Dry on the finish with a peppery kick from coriander seeds. Kick off your wellies, sit back and enjoy. Delivery by courier 2-3 days. Delivery to UK mainland only. International shipping coming soon. We are thrilled and overwhelmed to have been awarded best flavored #Gin in the @theginguide 2018 awards for our #Sunshine Gin Provenance, hard work & working with local businesses has underpinned our success in this popular category! Signature and Spiced also shortlisted!